Finishing on a high note last school year class. Introduced more about attackers with weapons. The same movements can tackle threats. The kids have made lots of progress! Looking forward to an enthusiastic class on wednesday ...our group is progressing quite well ! 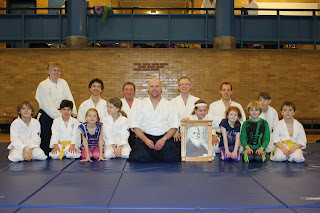 It's been a good year of aikido with East End Aikido! 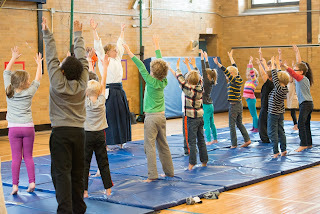 Stay tuned for next season's classes ....the weekly kids class !! keep your weekend free that we book off for the weekend practise !!! This coming wednesday is our second last class and then we will break til September. 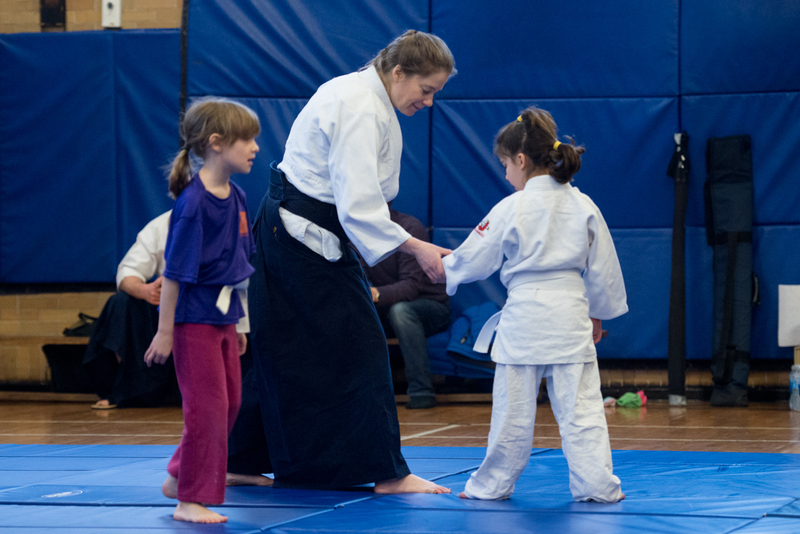 It's been a good two years of kids aikido plus the extra practise on weekends with two local seminars per year. 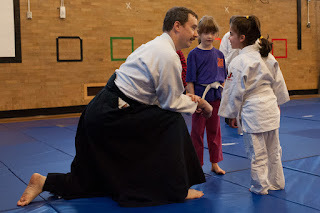 Looking forward to enjoying more aikido in the future !!! Besides our weekly class, East End Aikido held two Local Seminars per Year. These are extra practise times on weekends. 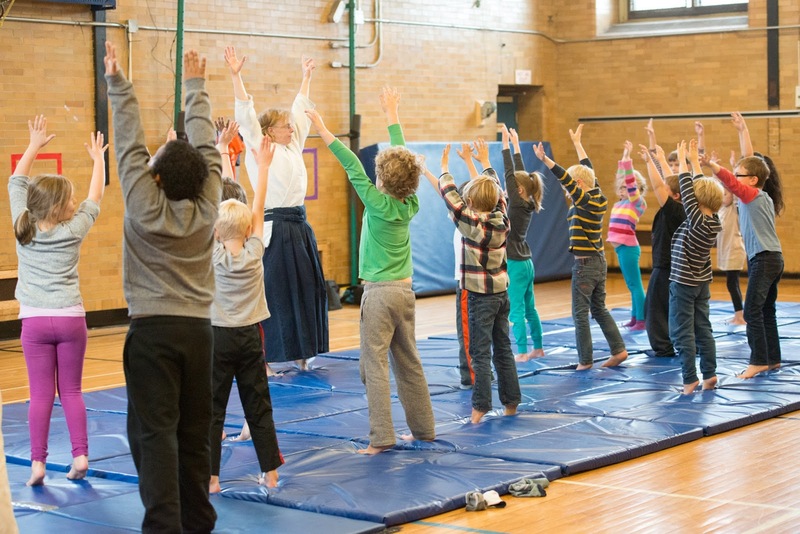 Some of the classes were adult classes and of course a kids class. 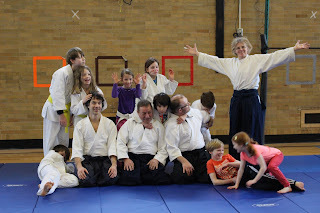 The nice thing about the kids class was it brought kids together from different dojos. We look forward to more practises in the future. The first few classes more than 30 students showed up to practise. Some were curious and changed their minds. A core group has practised for all or most of the two years. Sometimes other commitments prevent a few children from coming. All good ! All children are welcome when they can make it. In the past few months we have a steady number between 15-20. Aikido is not an easy martial art to learn. However, once a few basics are learned it gets easier. Techniques are taught in the context of self-control, cooperation and self-discipline. There are no tournaments. There are testing classes where students can demonstrate what they have learned. The ranks are referred to as 6th kyu, 5th kyu(yellow), 4th kyu, 3rd kyu, 2nd kyu, 1st kyu (brown belt). These are 'kids' ranks. Once these are acquired practitioners can then follow the adult route from 6th kyu to 1st kyu. After 1st kyu (brown) is the dan rank (black). This past year a number of our students acquired 6th kyu and a few acquired 6th kyu Part1. This group will probably be ready to test for 5th kyu in the fall of 2017. A pic of a good warm up stretch and breathing. Looking forward to seeing the progress of Bishop Field kids at class on wednesday May 3. Only 3 classes left before break. Then back again in September.Probably start Sept 20/17.